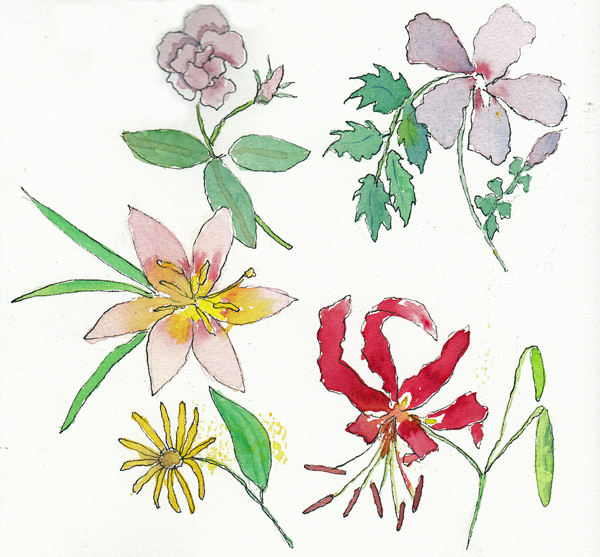 I continue to sketch single flowers in bloom at Wagner Park. After making each sketch, I take a photo and then paint the whole page at home, when I can relax and enjoy experimenting with some wet-in-wet watercolor painting, and more mixing of greens from my basic yellows and blues. 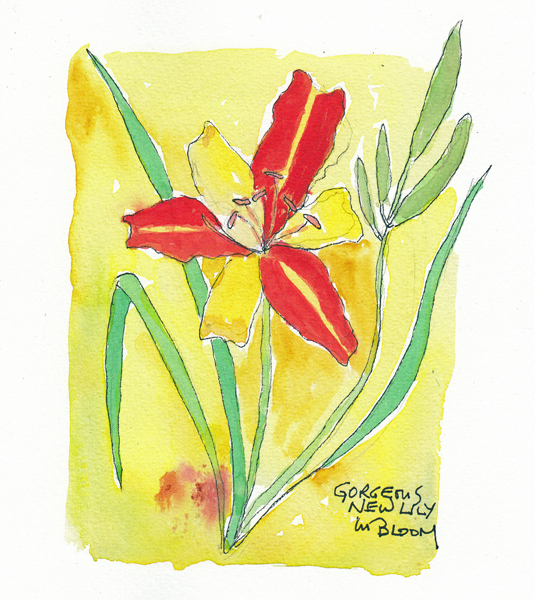 These lilies were gorgeous in color and I wasn't able to get the colors to be as radiant in paint. Nature is amazing. 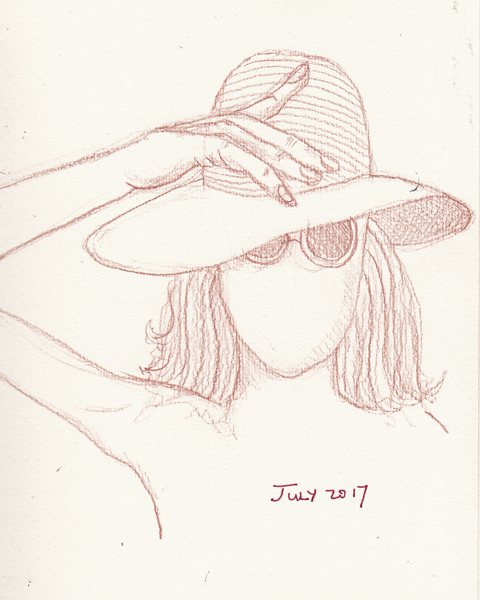 Figure Al Fresco: Several 5 minute poses in the afternoon. 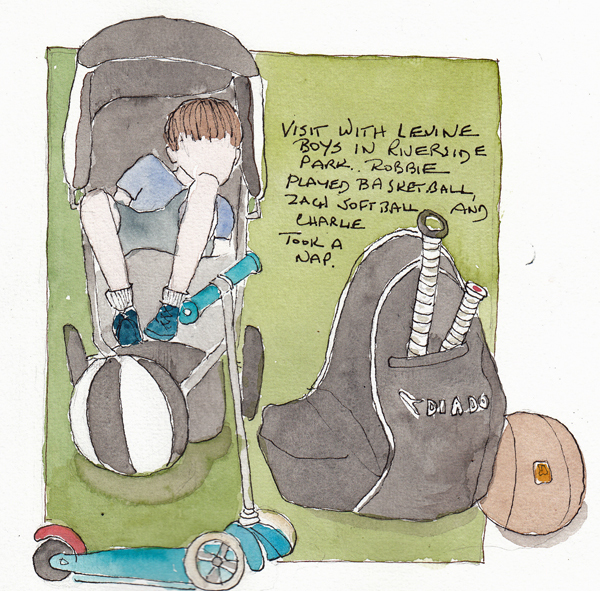 My grandchildren, Annabelle and Zach, were happy to go on another sketching adventure. 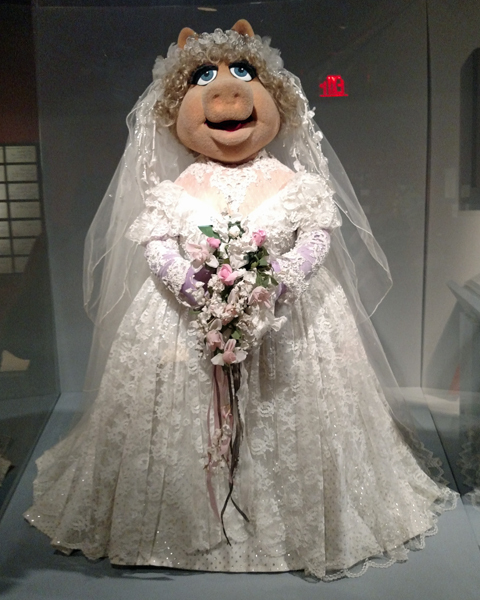 A new permanent exhibit of Jim Hensen and the Muppets just opened at the Museum of the Moving Image in Queens. We've never been there before, and this seemed like the perfect event for us to explore a different NYC museum. 1. Off to Astoria Queens to see the new "Jim Hensen" and the Muppets exhibit. 2. You need to get timed tickets for this exhibit, which can be done online more than 24 hours before your selected time. 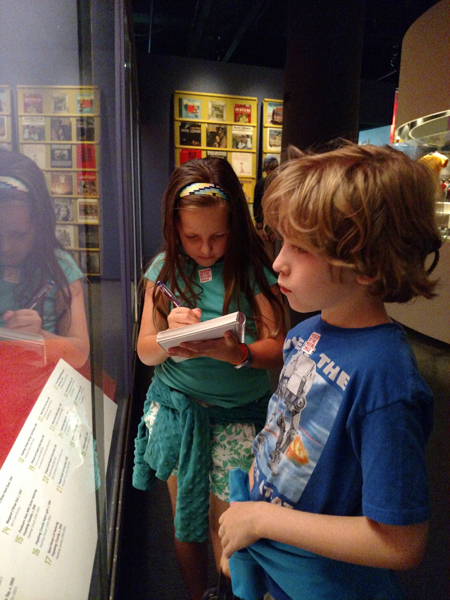 We arrived early and started in their permanent exhibit called "Behind the Screen" - and Annabelle started sketching. 3. 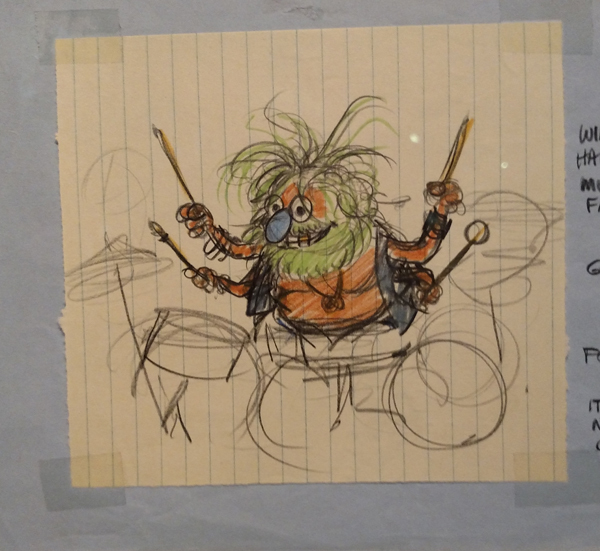 The Jim Hensen exhibit had lots of the puppets, storyboards, drawings, film clips and history. The children can take one of 4 puppets and make a video in one area, and change hairstyles, hats etc on puppets in another area. If they love the Muppets, it is enough to see the 47 puppets up close. But I think adults will enjoy the exhibit more. 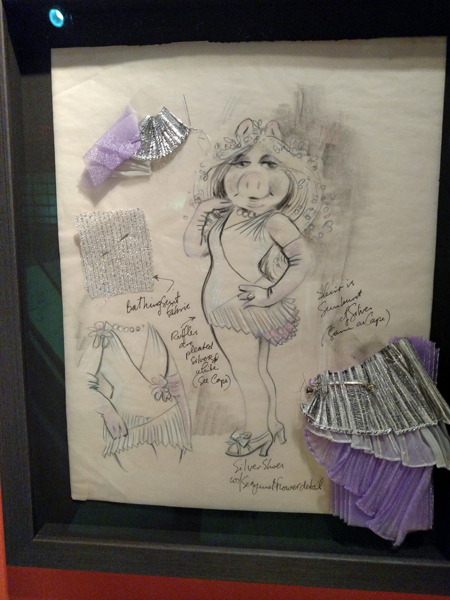 We watched "The Muppet Movie" (1979) at home on Friday night and saw Miss Piggy" in this dress in a dream sequence. 4. There are wonderful drawings throughout the exhibit - loved this one. 5. And "Animal" as a concept drawing. 6. 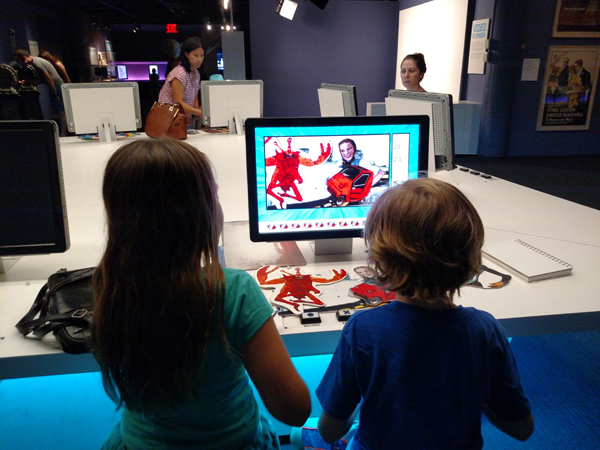 Before and after the Muppet exhibit, Annabelle and Zachary created animations from an amazing hands- on exhibit in the permanent exhibit. And there are more similar activities for kids this age to enjoy. 7. 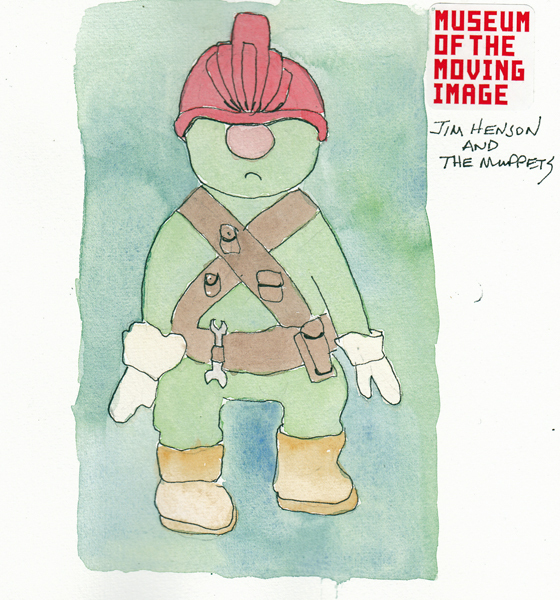 I sketched in both sections with them, but only painted this drawing of one of the Doozers. 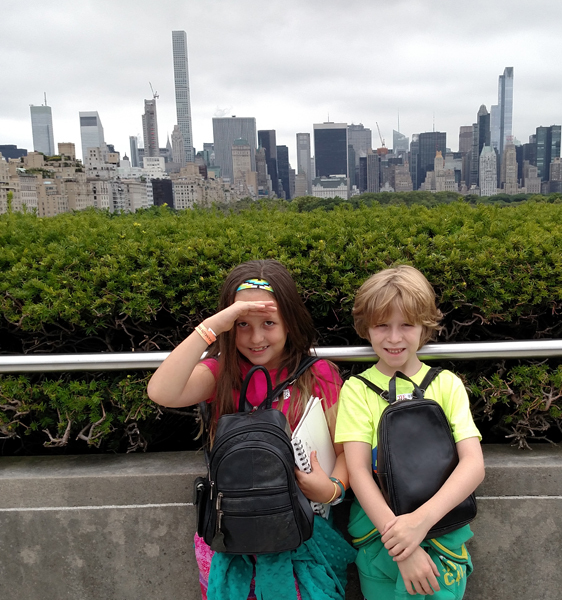 Annabelle is visiting us in NYC for 10 days, and her Manhattan cousin Zachary joins us for some of the adventures. 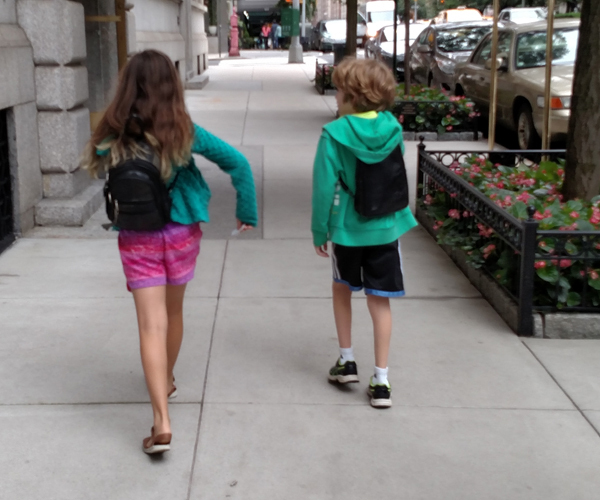 Tuesday: Walking to the Metropolitan Museum of Art with their backpacks containing art supplies. 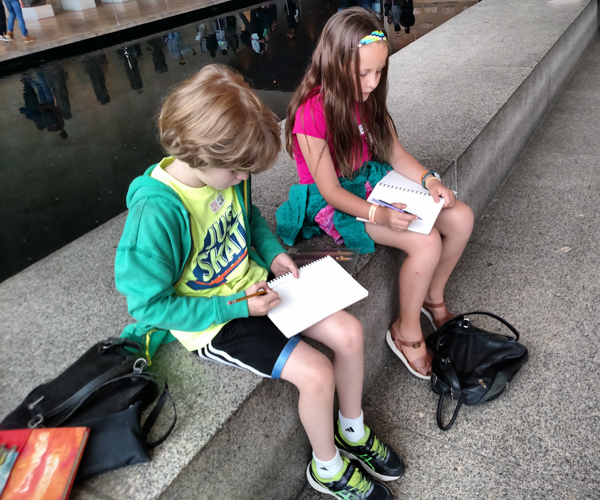 They loved walking through the Greek and Roman sculpture hall in the Met, on the way to the Egyptian wing to see William the Blue Hippo - mascot of the Met. They were very interested in the Egyptian Wing and Annabelle wanted to see one sphinx, and actually saw many. 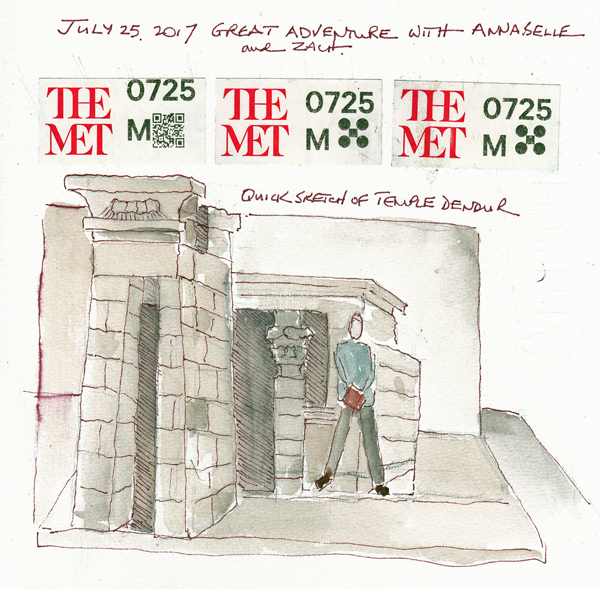 Sitting facing the Temple of Dendur for a quick sketch. I sketched with them, and added all of our entrance stickers to the page. We went up to the Roof Garden to see the current summer art exhibit, and neither of them even realized there was an open roof top exhibit area on the museum. The City Skyline, looking south to midtown is impressive. After the Roof Garden we had lunch, went to look at the Fish in the Astor Court, and then ended the day in the Nolen Library so they could explore the children's computer terminals. 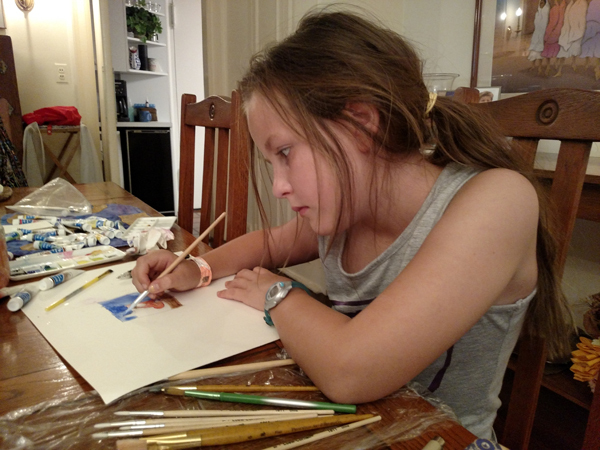 Thursday: Annabelle wanted to paint today before we went to buy new art supplies. 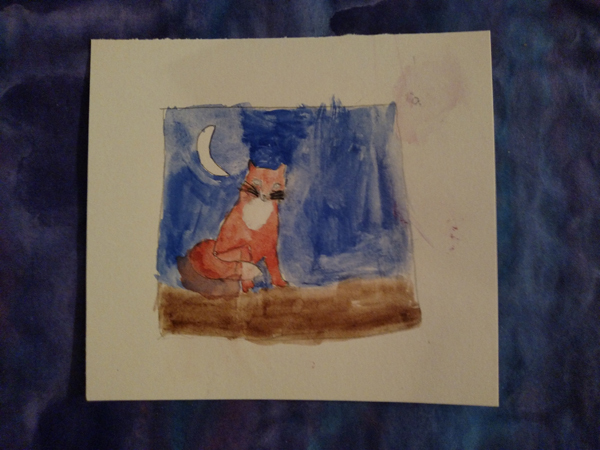 She painted a red fox to take home to her best friend. I have several sketchbook pages that I did before our recent trip tp Martha's Vineyard - and just finished painting them since our return. 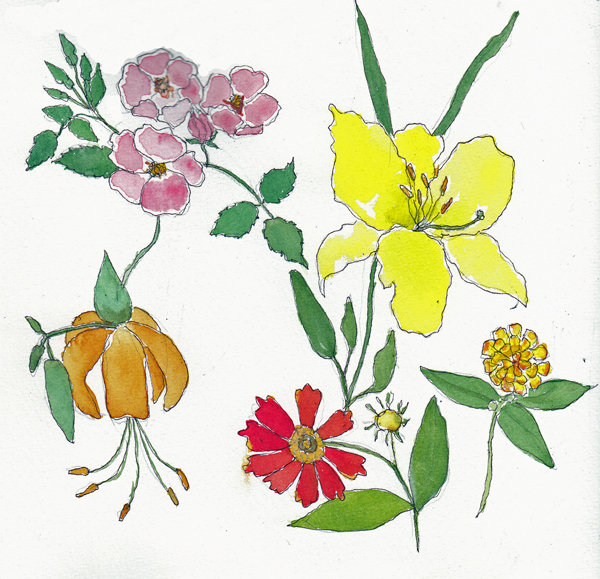 Each week I arrive at Wagner Park in Battery Park City during the final minutes of the morning art session, and draw the newest flowers in bloom. I love spending time painting them, so I wait until I'm home and have a variety of brushes, and some quiet time. This page is from early July. 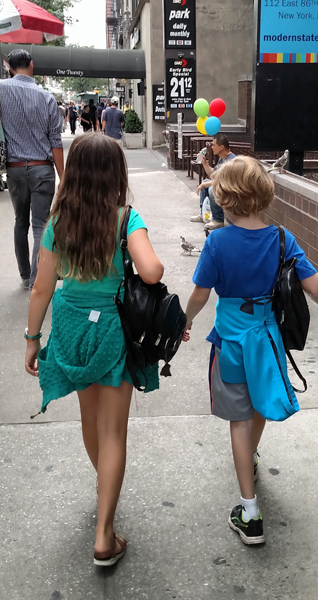 Later that week we met our oldest son, his wife, and 3 boys in Riverside Park on one the hottest days of early July. One grandson was shooting baskets with our son. One grandson was asked to join a softball game with neighborhood kids. And the youngest in the family was sound asleep in his stroller. It was too hot to move, so as I sat on a blanket in the grass, I sketched what was in front of me! 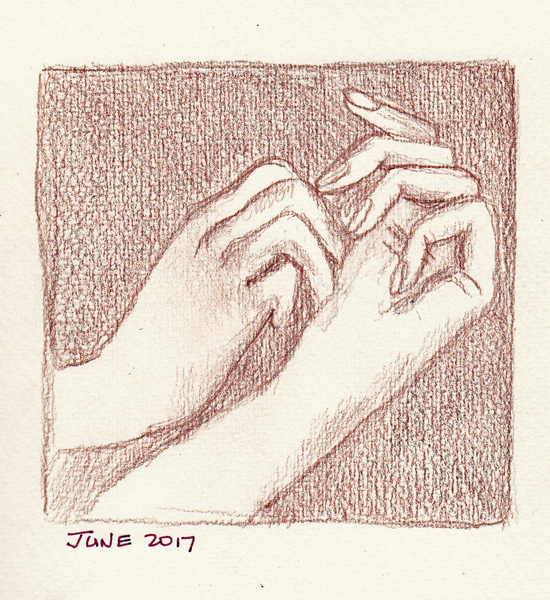 I like figure drawing, and when there are live models, I try to draw hands, and sometimes feet on the longer poses (10, 20 minute poses). 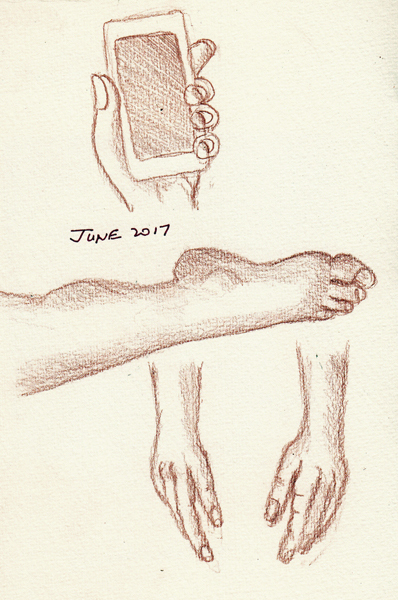 But I need to continue to draw both hands and feet from photographs, and save photos from magazine advertisements for that purpose. 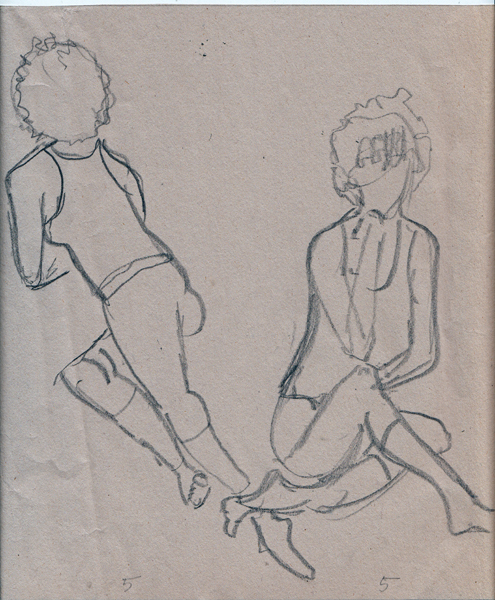 I have one sketchbook devoted to these deliberate practice drawings, and these are 3 that I did so far this summer. I search for photos of hands holding smart phones, and here is one with these other drawings. I like to draw hands in normal positions - but I liked this hand holding a hat too.